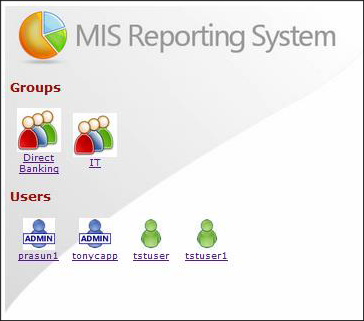 The MIS Reporting System integrates with SWITCHWARE® and uses web-based technology to provide critical management information right at your finger tips. 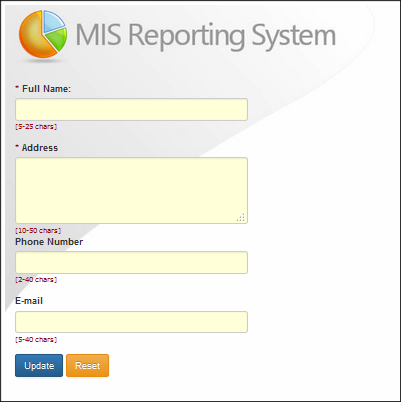 The reports can either be generated as needed or can be defined to automatically generate on a periodic basis. 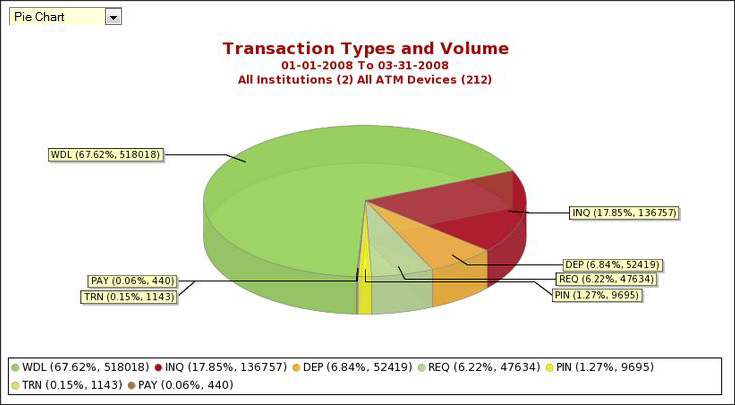 The available reports include; ATM availability, transaction types and volumes, foreign vs. on-us transactions, popular withdrawal amount, transaction activity, transaction fees and transaction response times. 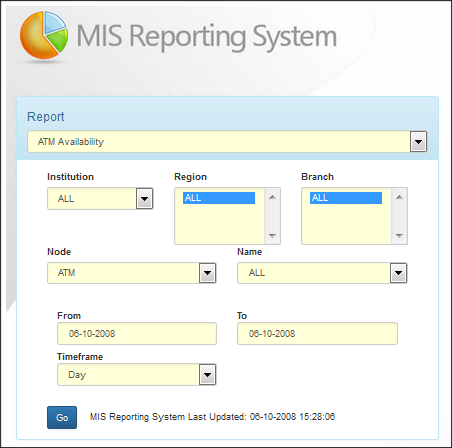 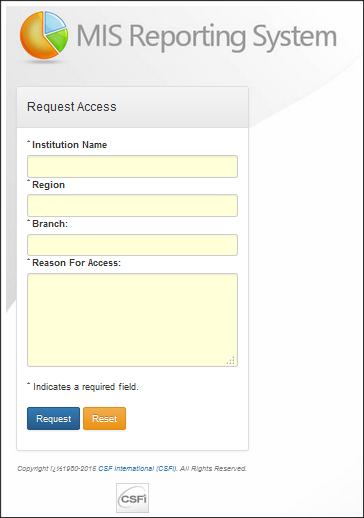 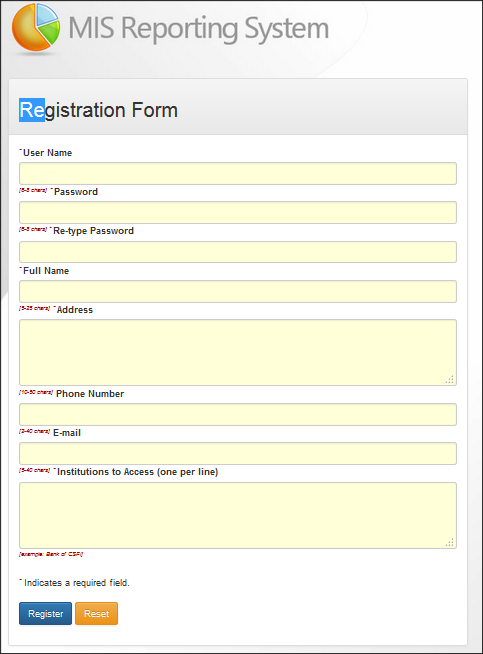 The reports can be generated by institution, region, node, device type and date/time period. 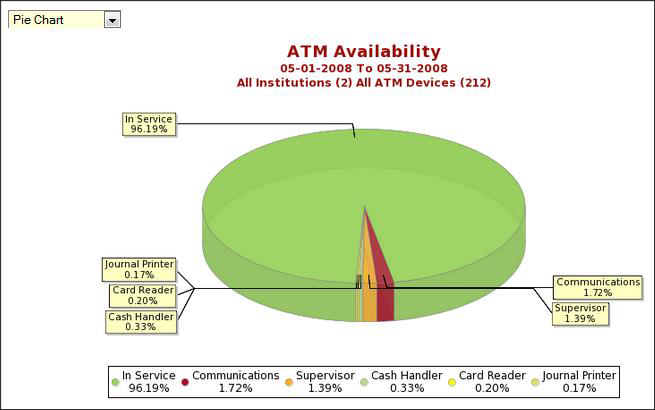 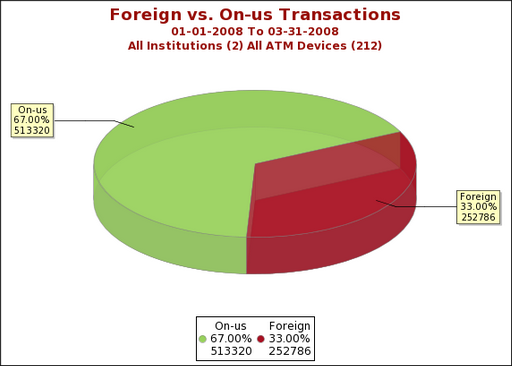 An example of the ATM availability report is below.